I grew up in Miami. My mom is Cuban and my dad is Caucasian. The oldest of 8 kids, I have a complicated family tree. My parents were never married and split up when I was 4. My dad married and had 2 more kids, while my mom had 3 more kids with other fathers. Around age 13, I moved in with my dad after he and his wife had been told by God that they should bring us in and raise us. At that point I started to attend Calvary Chapel Fort Lauderdale with my new family and discovered the life-saving reality of God as my Father. Through my teenage years, I struggled to grow in my relationship and commitment to Jesus. I attended Coconut Creek High School and graduated in 2006. While in college, I started to sense the Lord calling me to surrender my life to Him. I believe I was saved before my complete surrender, but not truly living the life that God had saved me to live. After surrendering my life to Jesus at the age of 19, I dropped out of community college, started to attend the Calvary Chapel Bible Institute at Calvary Chapel Fort Lauderdale, quit my job at a local pizzeria, started working at the Grill Restaurant at Calvary, and met my future wife Lauren Buck. After graduating from the Bible Institute, I was invited to be a part of the Next Generation Leaders Program at Calvary Chapel Fort Lauderdale, where I was trained in leadership by a handful of amazing men. Shortly after finishing the Next Generation Leaders Program, the Lord opened up an opportunity for my wife and I to move to California and open up a restaurant at Calvary Monterey. Through the move to Calvary Monterey, God began to expand my mind for what He could do with my life, and further grow my heart for His Church. God also expanded our family numerically by adding my daughter Brielle and son Nathan to our tribe. 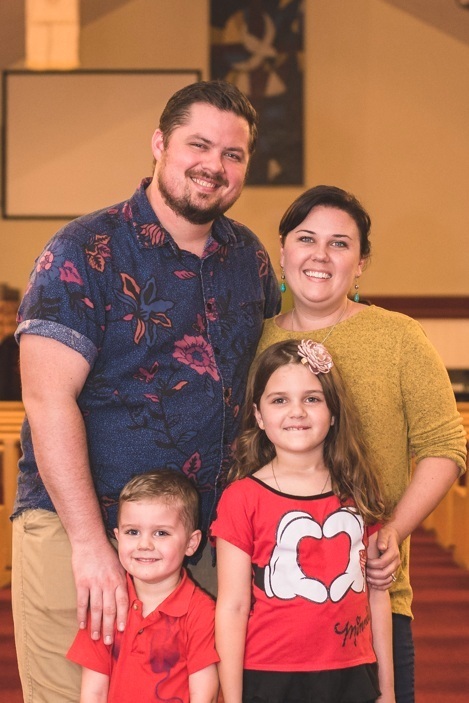 Through hands-on training, one-on-one discipleship, and a ton of prayer, the Lord prepared our family to move back to Florida to plant a church in Coconut Creek. I began sensing the call to church leadership at the age of 19. My twin brother was attending the Bible Institute at Calvary Chapel Fort Lauderdale and working at the church's restaurant. I envied his commitment to serving God. Watching him, I began to hunger for the sense of purpose, community, and closeness to God that he seemed to have. As I went about my daily life, I started to question everything I was doing and what value it had in God’s eyes. The more I questioned, the more lost I felt. After months of seeing nothing of eternal value being produced by my efforts, I finally started to feel like something needed to change. The only problem was in my own mind - I was stuck in the life I had chosen. One night as I sat in an accounting class at Broward College, the Lord spoke to me saying, "Jorge, stand up and tell these people about me.” I refused, declaring shamefully that I could not do so because of what they might think of me afterwards. I laid my head down on the classroom table and wept. The Lord spoke to me again and said, “Get up, I have something better for you.” Many times over the years the Lord has confirmed my calling to ministry, but this was the first and most important moment where I knew that God was calling me into church leadership.